The 150cm Single Bowl Ceramic Vanity Top is an excellent choice for your vanity base. Boasting a sleek design, this vanity top offers stylish looks that will complement any contemporary bathroom design. The 150cm Single Bowl Ceramic Vanity Top measures 600x460x195mm in dimensions. 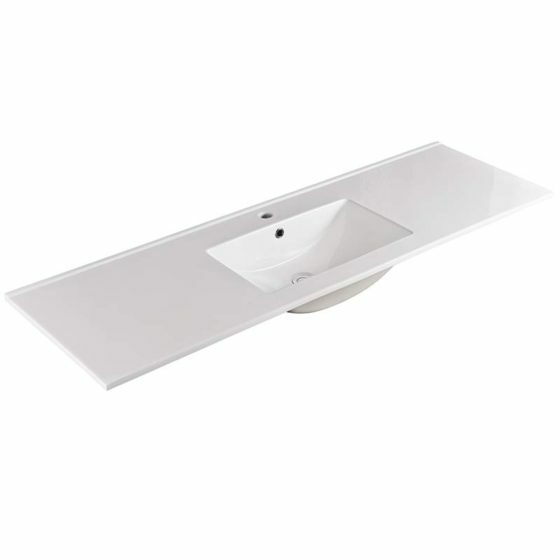 Experience the perfect mix of style and functionality with the 150cm Single Bowl Ceramic Vanity Top. 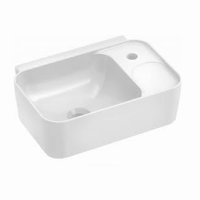 It features an inset bowl that comes pre-equipped with an overflow and is available in a choice 1 or 3 tap hole configurations. 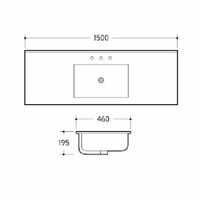 It is designed to fit a 32mm waste, which is available separately. 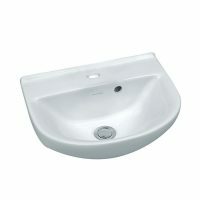 Trust that this ceramic vanity top is a superior grade product that exhibits quality manufacturing and skilled artistry. It easy to clean design makes maintenance a breeze. Thanks to the use of top grade ceramic, this vanity top is durable and built to withstand the test of time. 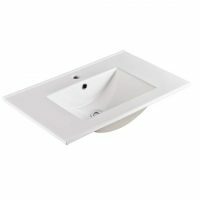 For contemporary single bowl vanity tops in Perth, you’ll find nothing better than the 150cm Single Bowl Ceramic Vanity Top from Ross’s Discount Home Centre. Purchase yours from our online store and take avail of free shipping to Perth Metro today!